Broadway Malyan, a multidisciplinary international firm, has been giving the IES VE SketchUp plugin a real workout. 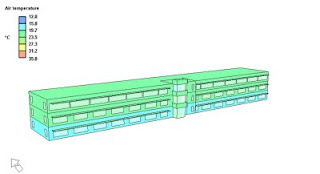 Using Google SketchUp Pro, Integrated Environmental Solutions Virtual Environment software, and the plugin, Broadway Malyan is able to integrate sustainable design throughout their entire design process. Besides pioneering the use of the plugin, the firm is also proving, on real world projects, that good design is sustainable design. Below is just a part of the case study - visit the case study online to read the story in its entirety (and see more images). Resource efficient design, technically informed staff, and innovation are key company values for Broadway Malyan. Established in 1958, Broadway Malyan is a leading international practice of architects, urbanists and designers with offices throughout the UK, Europe, the Middle East and Asia. 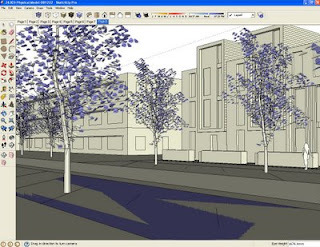 Since its launch in August 2008, Broadway Malyan has been piloting the use of the IES VE SketchUp plugin on key projects from the London and UAE offices, including single dwellings, large masterplanning, streetscaping and mixed use developments. its really nice and charming.i like it.